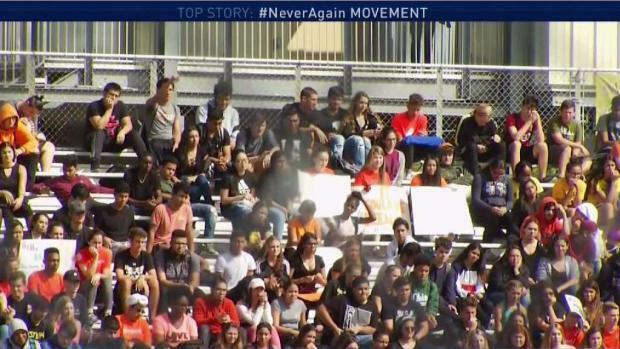 NBC 6's Steve Litz has reaction from the President after it was announced that a deputy did not enter the school during the February 14th shooting. The school resource officer who was at the Parkland school but "never went in" where 17 people were shot dead has retired after Broward County Sheriff Scott Israel on Thursday said the official had been suspended without pay. 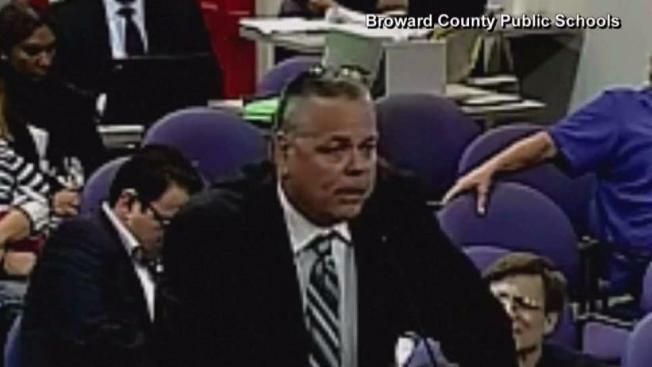 Israel said school resource officer Scot Peterson took a position outside of Marjory Stoneman Douglas High School as the onslaught occurred, citing security footage. Israel said Peterson was "absolutely on campus," adding that he was armed and in uniform during the shooting. "After seeing video and witness statements, and Peterson's own statement, I decided this morning ... to suspend Scot Peterson without pay pending an internal investigation," Israel said, adding that Peterson chose to then resign and retire. BSO Sheriff Scott Israel announced school resource officer Scot Peterson has been suspended amid an investigation. Peterson subsequently chose to resign and retire. "Our main goal at this point, absent of helping these families heal and keeping our schools safe, is making sure this killer receives the justice he deserves," Israel previously said. President Donald Trump reacted to Israel's revelation Friday morning, telling reporters on the South Lawn that Peterson "certainly did a poor job." "That's a case where somebody was outside, they're trained, they didn't react properly under pressure. Or they were coward," Trump said. "When it came time to get in there and do something, he didn't have the courage." Trump and the NRA have pushed for "hardening" schools against attackers and arming teachers and other staff members with guns in the school. However, critics have said that is beyond the scope of a teacher's job and could present new safety challenges. 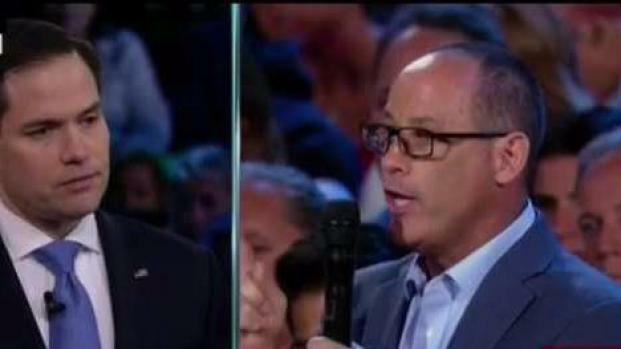 The NRA on Friday responded to Israel's comment to an NRA spokesperson during a town hall on Wednesday in which he said the NRA is "not standing up" for the survivors of the shooting. "No Sheriff Israel, you were the one that didn’t PROTECT these children and that is your job. You run the largest fully accredited sheriff's office in the United States, yet your office failed this community," NRA wrote on Twitter. Hours after the NRA's post, the hashtag #ResignSheriffIsrael began trending on Twitter. When asked how a trained, armed officer who didn't "didn't react properly under pressure" would be different from arming a teacher, the president said that "you have to have a certain degree of offensive power in the school, not just defensive." In 2014, the Broward County Crime Commission awarded Peterson with the title of School Resource Officer of the Year for the City of Parkland District. The group said Peterson proved "to be reliable in handling issues with tact and judgment." The Palm Beach County Sheriff's Office said the suspended deputy's family requested privacy and protection. Israel also addressed the 23 previous calls BSO received related to the gunman. Two other officers who previously responded to one of the calls related to accused gunman Nikolas Cruz have been placed on restrictive duty. Broward County Sheriff Scott Israel says Marjory Stoneman Douglas High resource officer Scot Peterson never went inside the building to confront the gunman and placed under investigation. "In two of these cases, after being briefed by internal affairs, I've restricted two of our deputies to take statements and make a decision to see whether they should have and could have" done something to prevent the shooting, Israel said. BSO released a document that detailed each call it received related to Cruz – including the two calls that led to the unidentified officers being placed on restrictive duty. The two officers are facing an internal affairs investigation and a BSO internal review. On Feb. 2, 2016, a deputy responded to a suspicious incident call in which someone reported that Cruz made a post on Instagram indicating he "planned to shoot up the school." However, the police document suggests the specific target was "unknown." NBC 6's Darryl Forges is at one of several locations where students left class for a period of time Wednesday, one week after the Parkland school tragedy. It has not yet been confirmed if Peterson, who was assigned to the school for years, was the resource officer who received the information of the threat. The other call and response under review occurred on Nov. 11. The BSO press conference occurred after 17 people, mostly teenagers, were shot dead at the school in Parkland. The accused gunman is a former student who had previously been reported over disturbing behavior particularly about weapons. Israel on Wednesday announced that he directed a new policy that will arm Broward County deputies stationed at schools with a rifle.